As you explore Elliott Bay and the Seattle Harbor, you'll also catch spectacular views of the panoramic background to all of this activity: Puget Sound and the majestic Cascade and Olympic mountain ranges. Live narration throughout the cruise keeps things exciting and amusing, with stories and facts about this busy port and its fascinating maritime history. The Harbor Cruise has year-round daily sailings, with the exception of Christmas Day. The Argosy Cruise schedule varies from season to season, with many more sailings during the summer, from May through September. You can find the current schedule on the Argosy Cruises Harbor Tour website. With Seattle's famously inconsistent weather, you're never guaranteed a sunny day, even in the height of summer. However, the Seattle Harbor is dazzling any time of year and a bit of mist and fog can add some mystery and adventure to the experience, not to mention make you feel like a true Seattleite. With that said, it does get quite cold out on the water, so be sure to bundle up before you board during the winter months. The first cruise of the day is generally the least crowded. Other than that it is really a matter of preference: daytime cruises give you more opportunity to see the sights and maybe some local wildlife (great if you're traveling with kids), but once the sun sets you're treated to magnificent views of the city skyline lights at night. There are several waterfront facilities that are convenient for Argosy Harbor Cruise parking. Children of all ages are welcome on the cruise with adult supervision. Only service animals are permitted aboard the vessel. All crewmembers are trained to assist visitors of limited mobility, and all ships are wheelchair friendly. Argosy Harbor Cruises will have a trained crewmember accompany every guest on board in a wheelchair. The Spirit of Seattle, the most common ship on the Harbor Tour, has a 42" wide entry ramp and wheelchair-accessible bathrooms. The Goodtime 2, which also operates on the Harbor Tour, has a 38" wide entry ramp, but the bathrooms on board are not wheelchair accessible due to raised thresholds. The accessibility of the cruise sometimes depends in part on which vessel is operating on a given day, as different ships have different levels of accessibility. Argosy has put together a comprehensive resource explaining the accessibility and limitations of their vessels and facilities, and are happy to assist with any questions. The Harbor Tour departs from Pier 55. If you need the address for GPS directions, it is 1101 Alaskan Way, Pier 55, Seattle, WA 98101. Previously known as the Waterfront Streetcar Line, Metro Route 99 is a bus route connecting the Waterfront and with popular parts of the city, including International District, Pioneer Square, the downtown retail area, Pike Place Market and Belltown. You can check the Kings County Metro website for an up-to-date schedule and route map. If you get off the bus at the 1st Ave and Marion Street stop, it's about a 5-minute walk to Pier 55. Walk half a block northwest to Madison Street, turn left on Madison and walk down towards the water until you reach Alaskan Way. Turn right on Alaskan way and walk up towards Pier 55 and Argosy Cruises. 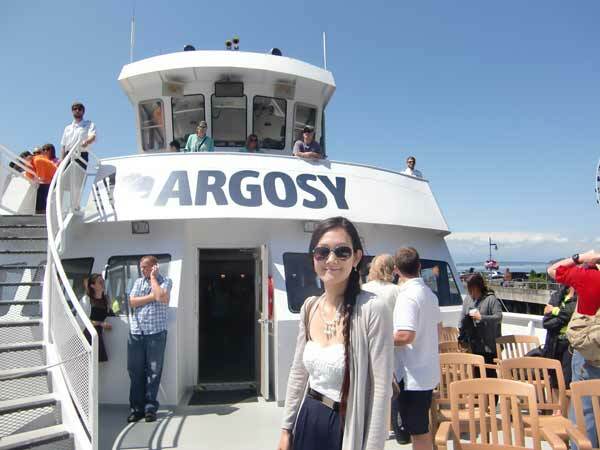 We might be biased, but we think Seattle CityPASS is the best way to experience an Argosy Cruises Harbor Tour. You can present your CityPASS ticket or voucher at either the Argosy Visitor Center at Pier 56 or the Argosy Ticket Booth at Pier 55 to receive a timed boarding pass. You should note the difference between the "Opening Time" and "Cruise Time" of each sailing. Opening Time is the earliest time you may board the boat, while Cruise Time is when the ship actually departs. The Harbor Cruise has snacks and sandwiches available to buy on board, as well as a fully serviced bar with local beer, wine, specialty cocktails and soft drinks available for purchase. There is also a small gift area on board where you can pick up some souvenirs. Boarding photos are taken as you board the vessel, and can be purchased at the end of the cruise. Check your CityPASS ticket for a coupon that will allow you to purchase two photos for the special CityPASS rate of $15, a 25% savings. Argosy Cruises Harbor Tours are popular, which means there's lots of advice on how to have the best time. Here are some cream of the crop insider tips from people who have been there before. Seating is first-come, first-served. If the sun is out, you might want to arrive earlier to line up before your cruise. Argosy recommends 20-30 minutes, but when the weather is nice, reviewers recommend coming even earlier if you want to snag a great seat, perhaps 45 minutes before the scheduled time of departure for your tour. The best views are to be had on the top deck, on the right side of the boat. The least crowded area of the boat is usually the lower levels, so if you like more space that might be the spot for you. If you are hard of hearing, a seat inside near the speakers makes it easier to follow the tour guide's commentary: out on the top deck wind and the noise of the boat can obscure the sound. Bring a jacket! Even on warm and sunny days it gets quite chilly and windy out on the water. Low or no heels will make it easier (and more comfortable!) to get around the boat. Worried about feeling seasick? The slow pace and steady decks of this cruise, combined with the calm waters of the inner harbor, keep most people feeling comfortable for the whole cruise. Some visitors recommend this tour as a great way to begin your trip to Seattle, as it gives a better idea of the city's layout before visiting all the other famous Seattle attractions. However, others think leaving it for last it is a relaxing way to wind down a busy day, as you can just sit back and watch the shoreline glide by. Argosy Cruises offers a whole range of cruises aside from the Harbor Tour, and CityPASS holders have the option to upgrade or choose a different excursion. You can exchange your CityPASS ticket and pay the upgrade fee at the Argosy Ticket Booth to enjoy the cruise of your choice. Tillicum Excursion Upgrade: This four to five hour tour includes cruises to and from Blake Island State Park, a buffet meal featuring Northwestern cuisine such as traditionally prepared alder fire roasted salmon, and a Northwest Native American storytelling and dance show. Upgrade Prices: Adults and seniors, $50 (regularly $84); ages 4-12, $25 (regularly $32); ages 3 and under, free. Argosy Locks Cruise Boat & Bus: A two-and-a-half hour tour which links the saltwater of Puget Sound with the fresh water of Lake Union via the historic Hiram Chittenden Locks. Live historical narration gives you the background story of Seattle's amazing waterfront. You have the option to begin this tour at either Pier 55 or at AGC Marina, which includes bus transportation to or from Pier 55 to complete the tour. Upgrade Prices: Adults $20 (regularly $44); ages 4-12, $15 (regularly $20); ages 3 and under, free. 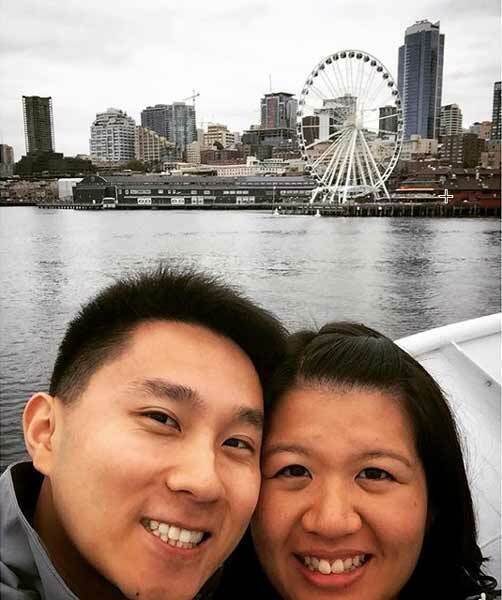 Argosy Locks Cruise Stay & Play: If you want to stay on and explore the neighborhood around the cruise's end point (either Pier 55 or AGC Marina), this option skips the bus trip back to the start point of the tour. Upgrade Prices: Adults $15 (regularly $40); ages 4-12 $10 (regularly $18); ages 3 and under, free. Argosy Lake Union Cruise Upgrade: Traveling through Lake Union, Portage Bay, and the Montlake Cut, this one and a half hour tour explores the metamorphosis of Lake Union from its industrial beginnings to its status as an urban aquatic playground. You'll get up close to the houseboats of the floating home community, including the home featured in the beloved movie Sleepless in Seattle. Upgrade Prices: Adults, $10 (regularly $32); ages 4-12, $5 (regularly $13); ages 3 and under, free. Argosy Lake Washington Cruise Upgrade: This 90-minute cruise takes you past the incredible lakeside properties of Lake Washington, including Bill and Melinda Gate's estate. You'll learn the fascinating history of the area and take in the beauty of this great urban lake. You can enjoy spectacular scenic views of Mt. Rainier, especially on clear days. 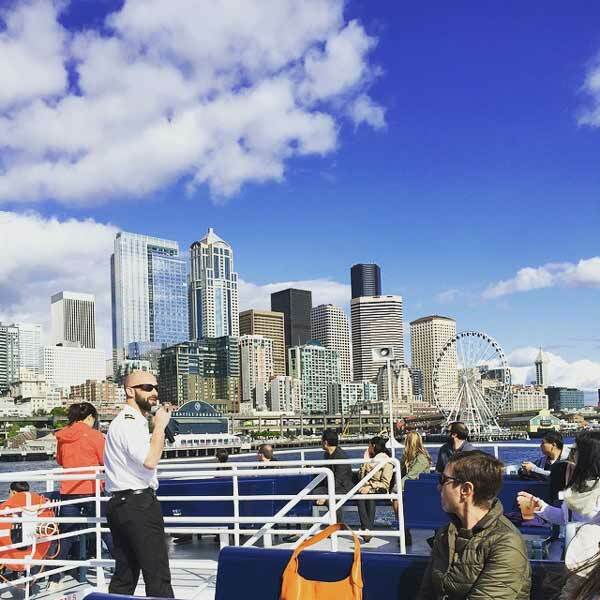 If you're looking for a tour that combines a little history with a lot of natural beauty -- and some quality time on the water, check out Argosy Cruises and start planning your trip to Seattle!